…and we share with them the veggies from our garden and the fruit from the orchard. 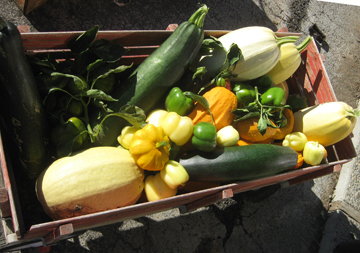 It has been a beautiful summer and now its time to do the late harvest and bring in the squash, peppers, cucumbers, potatoes and other delicious veggies for the freezer. We will have a good supply for making soups and stews this winter when it is so cold.